In one of the worst fire tragedies in Tamil Nadu, 54 persons were charred to death and 50 others injured today when a devastating blaze swept through a cracker factory complex at Mudhalipatti. 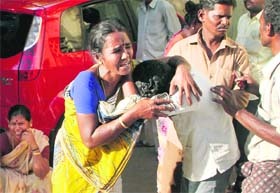 Relatives of the victims outside the government hospital in Madurai on Wednesday. Parliament witnessed a new low on Wednesday as rival SP and BSP members turned the floor of the Rajya Sabha into a wrestling ring over a politically-volatile Constitution amendment Bill on reservation to SCs and STs in promotion in government jobs. The scuffle broke out as soon as Deputy Chairman PJ Kurien asked the government to move the Constitution (117th Amendment) Bill, 2012, amid shouting by BJP members over the CAG report on coal block allocations. The CBI has submitted a status report in the Supreme Court recommending registration of corruption cases against former Haryana Chief Minister and INLD chief Om Parkash Chautala and ex-Transport Minister Ashok Kumar Arora for alleged irregularities in the nomination of candidates to the state Civil Services Executive Branch in 2003-04. Delhi Police has registered one more case against former Haryana Minister Gopal Goyal Kanda, accused in the suicide case of his ex-employee Geetika Sharma, on the directions of the court for evading appearance in a 14-year-old cheque bounce case which he settled recently. 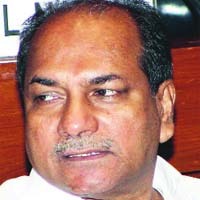 Alarmed at seeing almost 100 Army soldiers commit suicide annually since 2006, Defence Minister AK Antony has asked the three Services to come up with additional suggestions to improve living conditions and methods to curb suicidal tendencies among jawans. 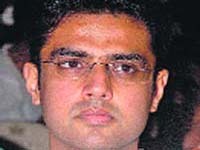 Union Minister Sachin Pilot will don the Army�s olive green uniform tomorrow. Pilot (35), who will join the select list of politicians having parallel careers in the Territorial Army (TA), will be commissioned as a regular officer by Army Chief General Bikram Singh. Pilot, the Minister of State for Communications and IT, cleared the written exam and the Service Selection Board (SSB) interview at Allahabad recently.